Kelly Neil has the chops. She, along with her succulent recipe for Sweet Red Chili Pork Chops Stuffed with Goat Cheese, Cherries, and Basil are competing in the TKLucky7 Recipe Challenge. Never heard of it? You really should have by now! Conceived by Thai Kitchen Canada in celebration of the Chinese New Year, the TKLucky7 Recipe Challenge features 7 Celebrity Food Bloggers from across the country who were challenged to create unique recipes using Thai Kitchen products in fresh and exciting ways. This is no easy feat, and though there is a lot of pressure (and taste testing), I was lucky enough to meet with Kelly earlier this week to talk about the challenge and see what it was all about! Reflecting on the 7 day challenge where competitors had to create 7 unique recipes and post their trials and tribulations on various social media platforms, Kelly believes that working with Thai Kitchen products has really broadened her view of Thai cooking and its myriad of mouth-watering ingredients. Believe it or not after looking at all the deliciousness Kelly created during the challenge, she and her husband Sean do not cook Asian food frequently at home, but she thinks that after this challenge they will definitely be cooking more! By using the Thai Kitchen products traditionally and in new dishes, they are both excited about cooking with Thai ingredients more often. Kelly believes that this is a true reflection of home cooking in the world today: by using a variety of ingredients from different regions is the way many people are cooking these days and that global-mashups are becoming more and more commonplace. Thai Kitchen products are a great example of these ingredients, and are very much represented Kelly’s recipe for stuffed pork chop, and the other recipes she created for the challenge. During the recipe challenge, Kelly cooked with all kinds of Thai Kitchen products, but a couple really stood out for her. She loves Thai Kitchen’s Fish Sauce. Already an important part of her pantry before the challenge began, she loves to use the sauce in unique ways: She puts it in everything, including, Mac n’ Cheese, which she thinks “adds a little something” to the classic dish. Another favourite Thai Kitchen product from the challenge was the Peanut Sautay Sauce which she used for her recipe for Curry Chicken Sautay Soup. Enthralled with the Thai Kitchen Red Chili Paste, Kelly used it as a component in numerous recipes for the challenge and it will become a staple in her cupboard from now on. VOTE HERE and help Kelly take home the prize! Not that you need any incentive to vote for Kelly, but you can win some great prizes too: $1500 Air Canada Gift Card, $1000 Apple Gift Card, and $1000 Jamie Oliver Professional Cookware Set. GO VOTE NOW! 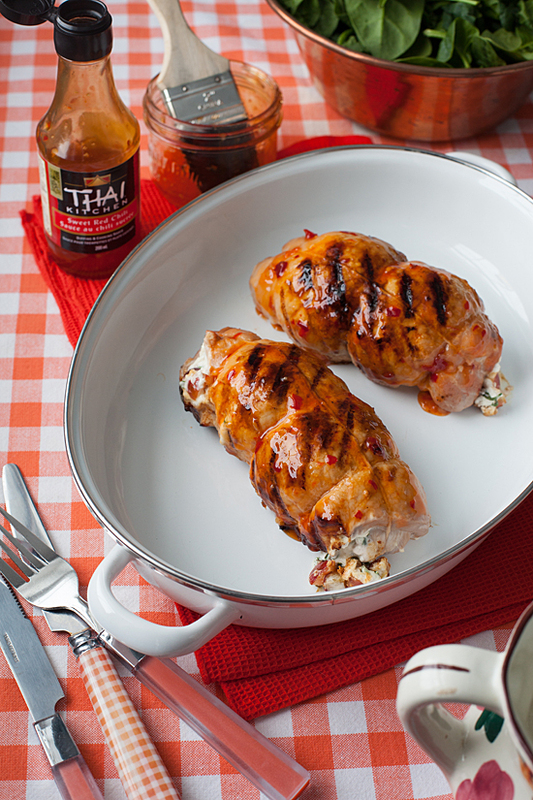 To learn more about Thai Kitchen Canada products, please visit www.thaikitchencanada.ca.